Despite evidence that American Indian adolescents are at a heightened risk of obesity/overweightness and experiencing depression, relative to other groups, there exists a dearth of studies that have examined the association between objective and perceptual measures of obesity and overweightness and depression with this understudied group. Our study represents one of the first studies to examine this association among American Indian youth. Using a subsample of American Indian youth from waves I and II of the National Longitudinal Study of Adolescent Health (a survey of schools and students in the USA, with wave I collected in 1994 and wave II collected in 1995), we explore this association. We examine three measures of weight: obesity, body mass index, and weight perception. We also consider gender-specific models and a subsample of non-Hispanic whites, in order to assess race differences in the obesity and overweightness-depression relationship. Our findings reveal that neither of our objective measures of weight, obesity, nor body mass index are significant predictors of depressive symptoms for either American Indian or white youth. However, we find evidence that the subjective measure of weight perception is a significant predictor of depressive symptoms for white females, but not for American Indian females. 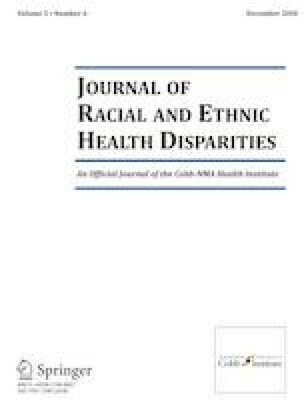 Our results contribute to past findings that measures of obesity/overweightness weight may be more important to white female’s mental health than females from other racial groups, although additional research is warranted. For this type of study, formal consent is not required. However, we did receive approval from our university’s Institutional Review Board. See also the Add Health website for more information on the original collection of data from human subjects, including informed consent (http://www.cpc.unc.edu/addhealth). Jensen MD, Ryan DH, Apovian CM et al. 2013 AHA/ACC/TOS guideline for the management of overweight and obesity in adults. https://doi.org/10.1161/01.cir.0000437739.71477.ee. Published June 24, 2014. Accessed 22 Jan 2018. Centers for Disease Control. Clinical growth charts. 2000. Retrieved March 20, 2015 from http://www.cdc.gov/growthcharts/clinical_charts.htm.